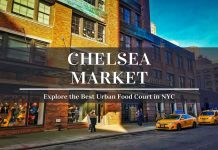 Shopping in Lower Manhattan - How to Enjoy the Best Package Deal? Home New York Shopping in Lower Manhattan – How to Enjoy the Best Package Deal? What do you consider to be the best city in the world to enjoy an extravagant shopping experience? Milan, Paris, London and perhaps Dubai would be at the top of most lists but for many, New York City is the ultimate city to sample the best retail therapy. And of course, with good reason! However, for those of you that want to visit New York City and experience a shopping spree without the masses of crowds along Fifth Avenue, why not consider shopping in Lower Manhattan? New York’s “Fifth Avenue” is arguably the most iconic retail strip around the globe with the likes of Saks, Lord and Taylor and global fashion brands scattered along this major thoroughfare in Midtown Manhattan. 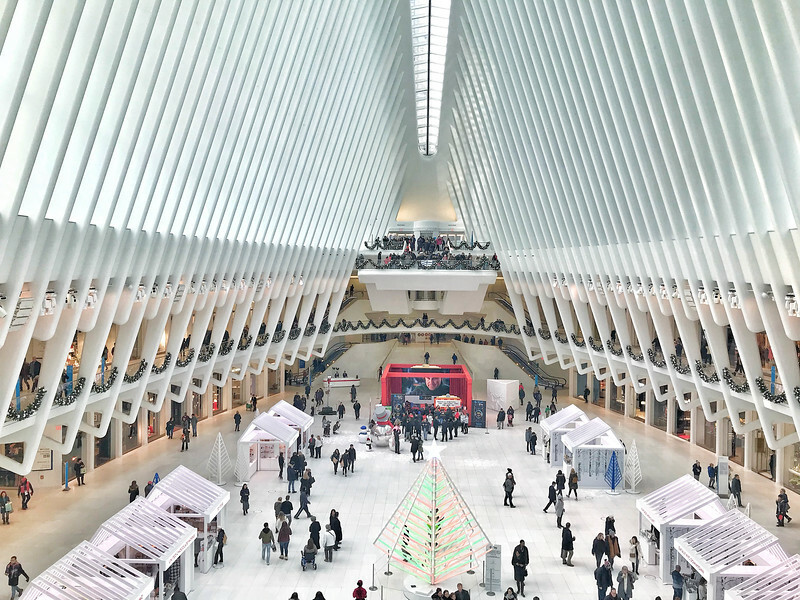 But for those of you heading to Lower Manhattan, you are in for a real treat when you consider the myriad of retail outlets that have established around the World Trade Center. During our recent visit to the Big Apple to enjoy the Christmas festivities, we were delighted to experience an amazing package deal offered by what we consider to be the best hotel in New York City – the Millennium Hilton New York Downtown, located in the heart of Lower Manhattan. Let’s take a look at what you can expect from this “Shopper’s Suite Package” and why we think you will be inspired to hop on this great deal in the New Year. Are you ready to experience the very best of New York City and hit the streets on an epic shopping spree? Thanks to the Millennium Hilton New York Downtown partnering with the nearby Westfield World Trade Center shopping mall, visitors to NYC can now experience an amazing few days in the ultimate 24 hour city of the world staying in a gorgeous suite overlooking Lower Manhattan and enjoying great deals inside the mall. 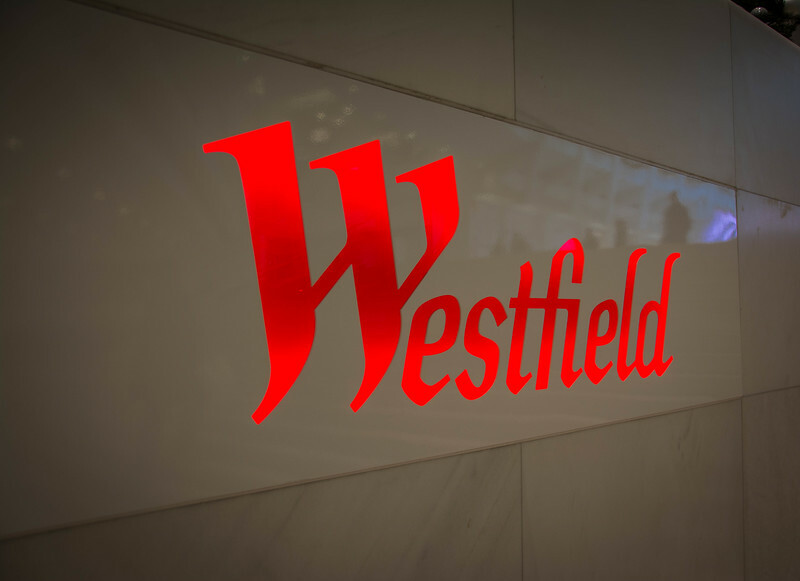 Access to Westfield concierge services and a tour of the Oculus. 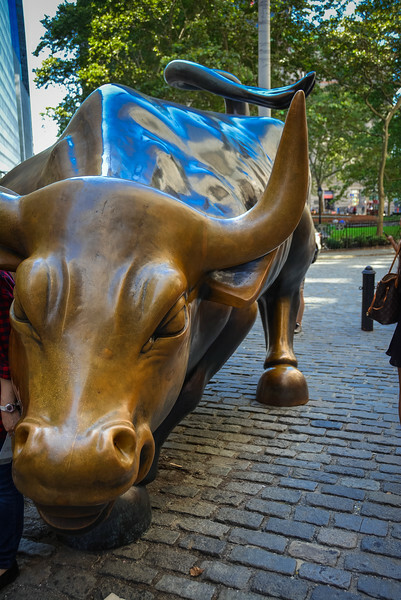 If you followed our adventures in New York City last year, you will know that we had an amazing experience creating our very own Millenium Memories as we participated in an epic scavenger hunt of Lower Manhattan. 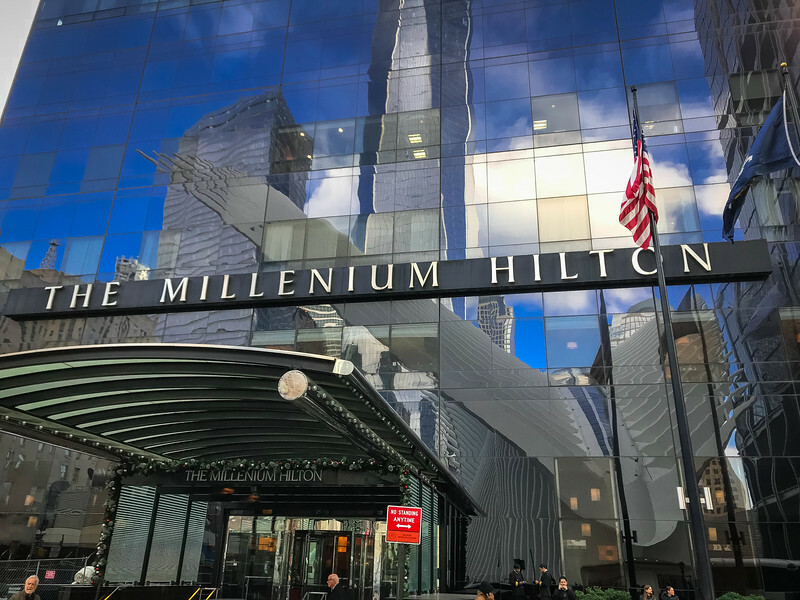 The beauty of staying at the Millennium Hilton New York Downtown is that you are able to explore an area that you may not usually consider when you first visit NYC. Either way, when you stay in Lower Manhattan you are not only going to enjoy an amazing hotel experience at the Millennium Hilton, you are opening a number of doors to experience the very best of New York City in a potentially quieter and “local” fashion. I want to add the caveat here that when I reference “quieter”, we are still talking about New York City here but in comparison with the likes of Times Square and Fifth Avenue, it’s relatively calm in Lower Manhattan. 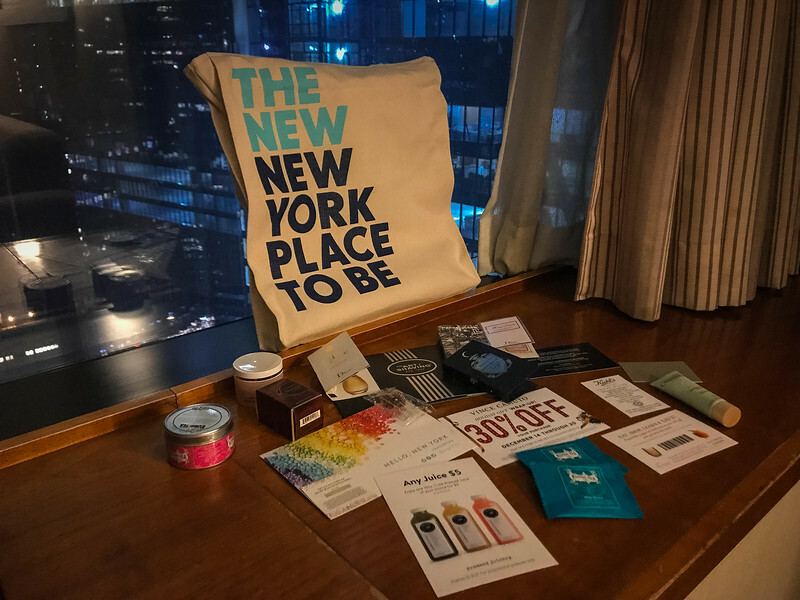 For those of you raring to learn more about the Shopper’s Suite Package and love shopping, well you are in for a real treat because New York City is all about the very best designer brands and shopping experiences! Several options and an eclectic range of brands to suit everyone’s budget. 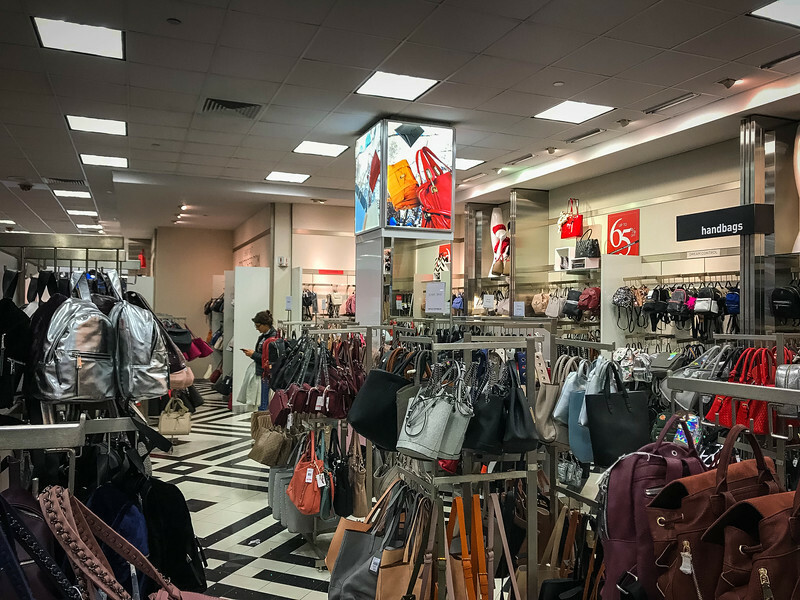 From the high-end luxury brands such as Tiffany and Co. on Wall Street to the bargain deals available at Century 21, you can be sure that there will be something to satisfy your retail needs! 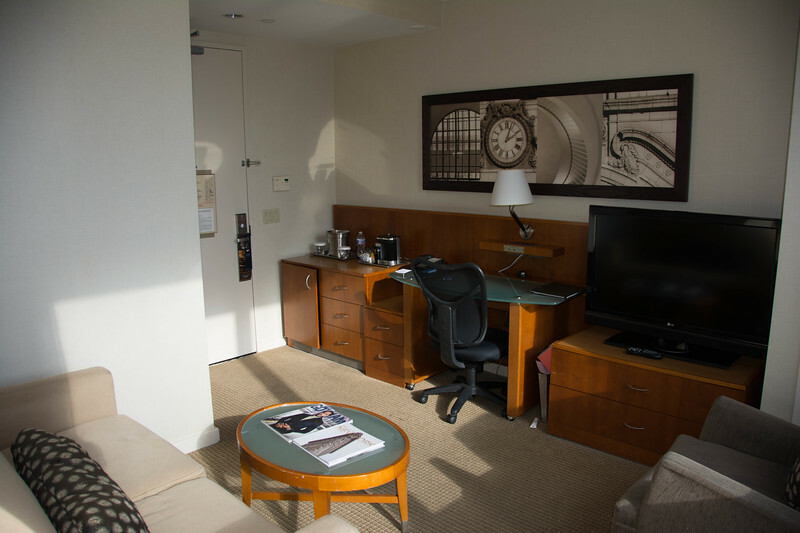 When you stay in Lower Manhattan at the Millennium Hilton and embark on the Shopper’s Suite Package, you can be assured that you will stay in a gorgeous suite similar to what we experienced during our recent visit. 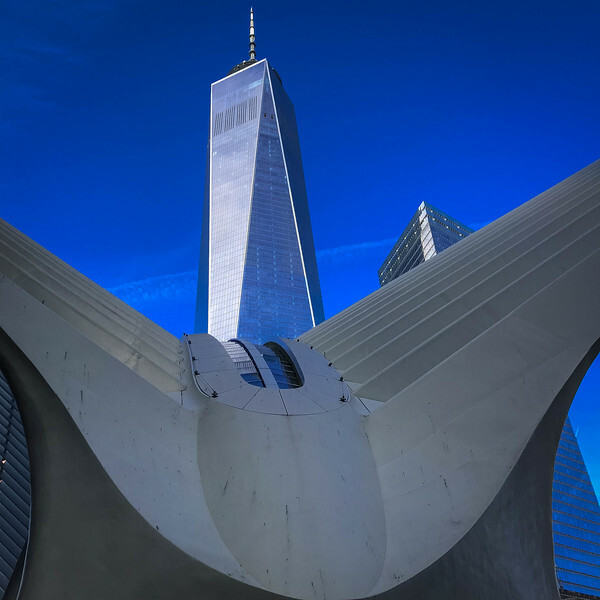 A corner suite overlooking Ground Zero, the World Trade Center and the Santiago Calatrava inspired design known as “The Oculus”, offer visitors with the perfect environment to start their day. 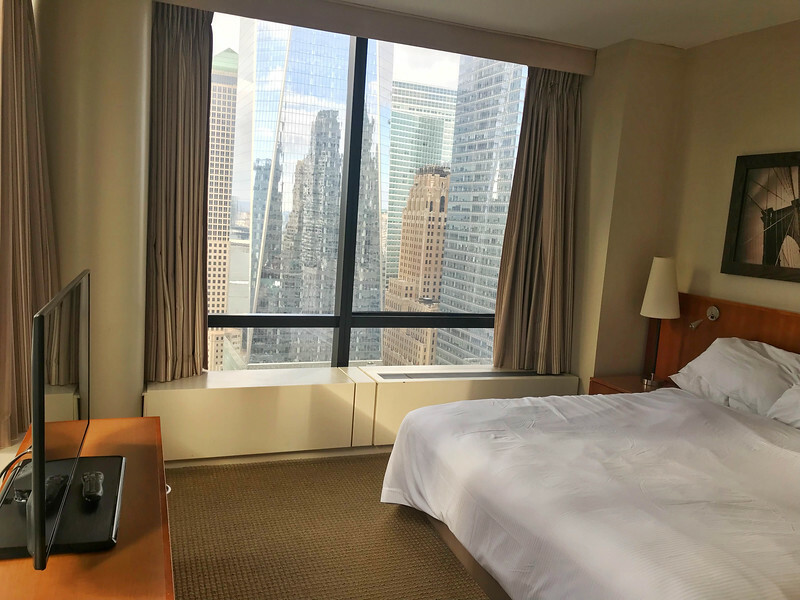 A private bedroom and sitting room area are the main characteristics but for us, it’s those epic views of the Lower Manhattan neighborhood that make the corner suites at the Millennium Hilton the best place to stay in New York City! We constantly share pictures letting folks know that we could quite easily get used to waking up to those views every day. There’s more than enough room to store your shopping scores in one of our Suites! Be prepared to indulge yourselves at the Millennium Hilton! But the best part of this hotel is that it is affordable. 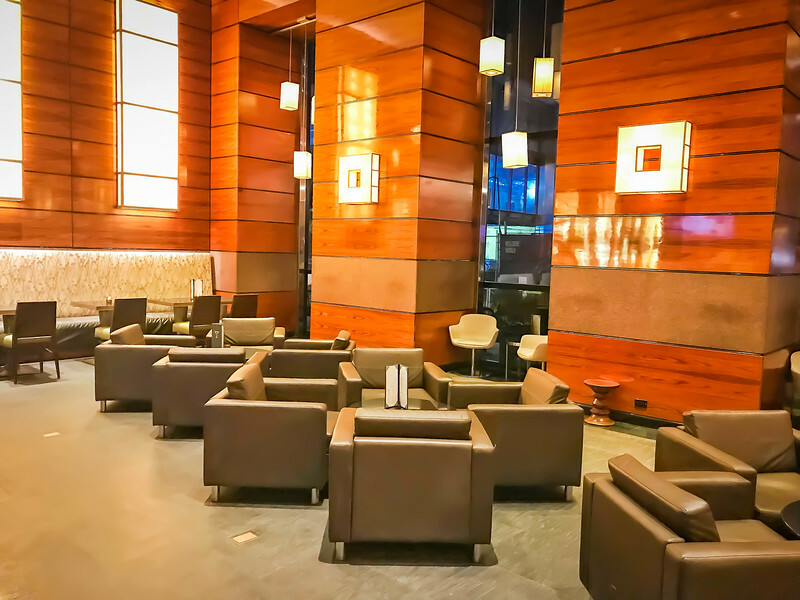 When you walk through the doors into the lobby and make your way to your suite, the gorgeous architecture throughout the hotel illuminates your experience and you immediately realize you are staying at a high quality establishment. 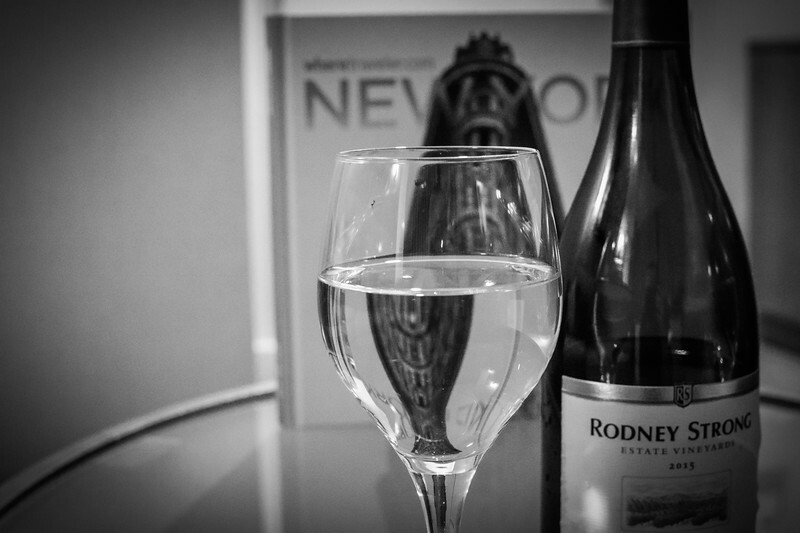 Imagine spending a full day experiencing the very best of New York City and then heading back to your luxury suite to enjoy a glass of your favorite wine while admiring the breathtaking panoramic scenes across Lower Manhattan! We have previously stayed at hotels in New York City that are towards the luxury end but this is reflected in the price of them. The Millennium Hilton offers the best of both – luxury and affordability! What does this allow? 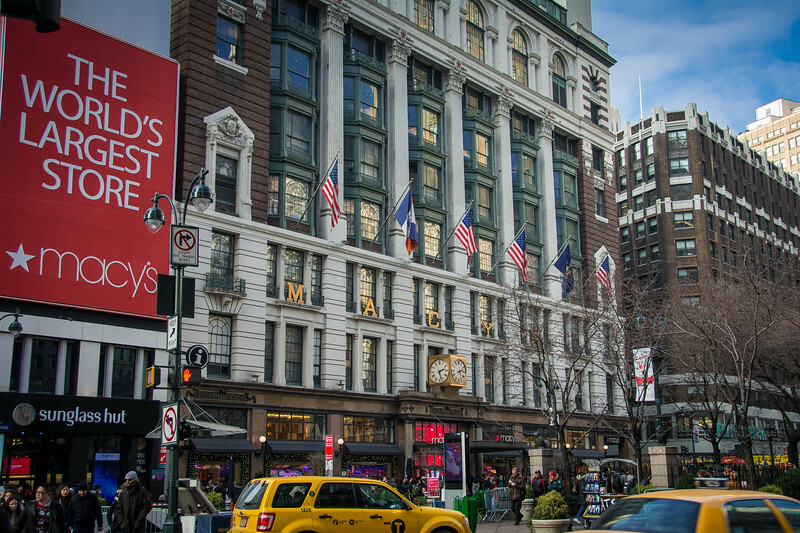 More funds to spend on your retail therapy experience in the Big Apple! 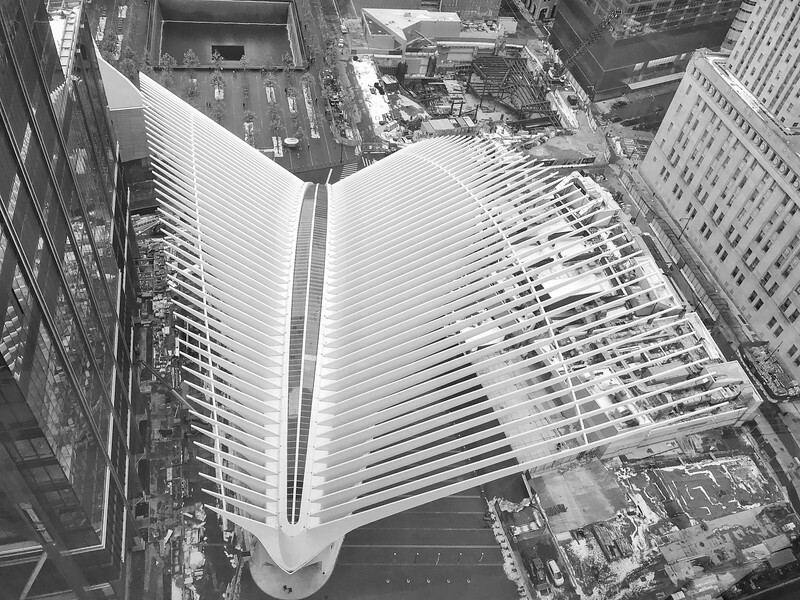 The Westfield World Trade Center opened its doors inside the ultra-modern “Oculus” in Lower Manhattan in August 2016. 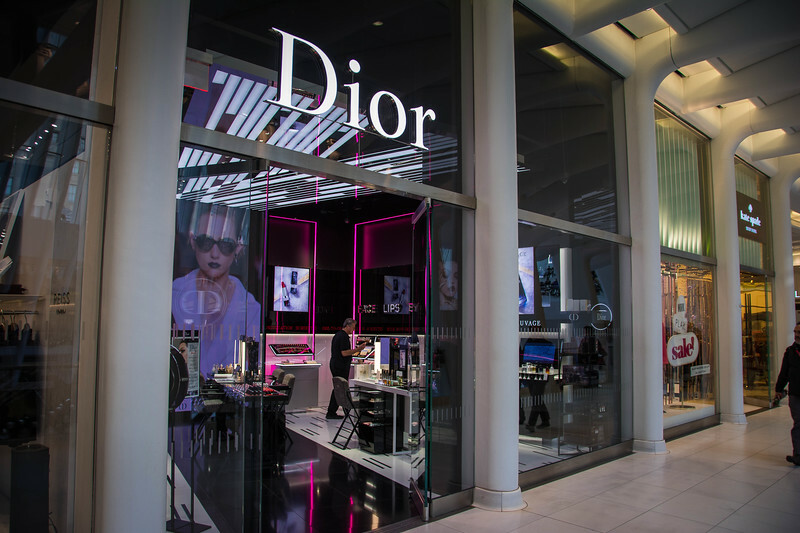 Whether you are looking to purchase high-profile designer brands, find your latest tech gadget at the split-level Apple store or looking to enjoy a makeover in the Dior store, you be sure that there will be something to intrigue you. 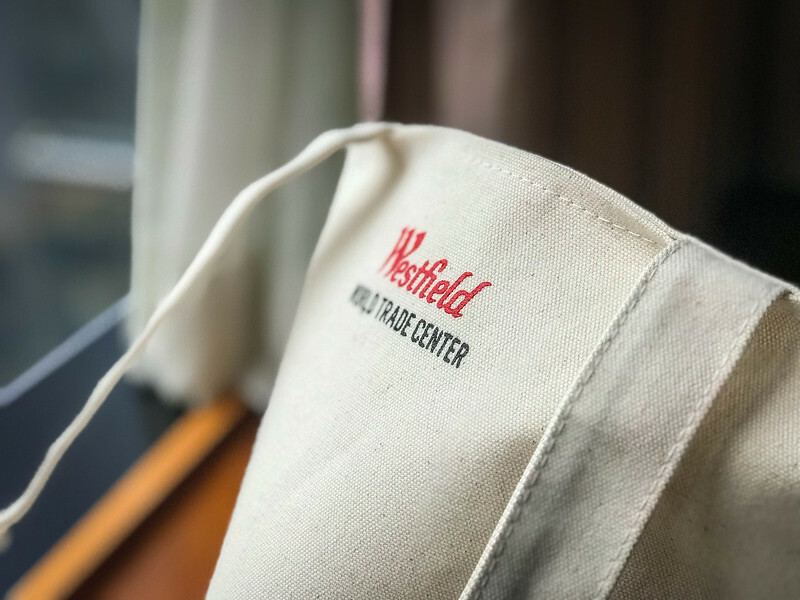 Let’s start by increasing your wanderlust for the Westfield World Trade Center by taking a look at the sample bag that you will receive if you choose to pursue the Shopper’s Suite Package deal at the Millennium Hilton. 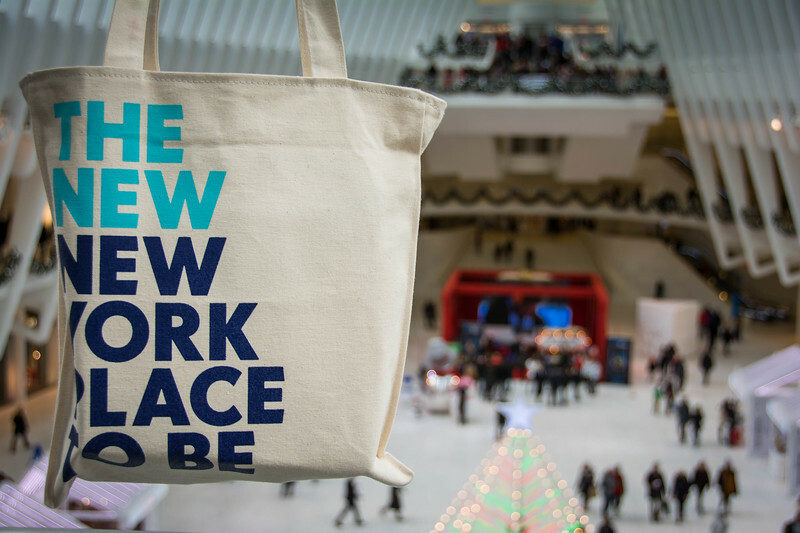 As we opened our incredibly cute tote bag promoting the Westfield brand and the city of New York, we found a wide variety of samples ranging from Dior, Kiehl’s, Philosophy, Eataly and The Art of Shaving…that’s right, there is something here for the guys also, so don’t think a Shopper’s Suite Package is just for the females in your life! After grabbing our coupons that were also included, we headed across the street and entered the Oculus! The million dollar question is…where do you even start? 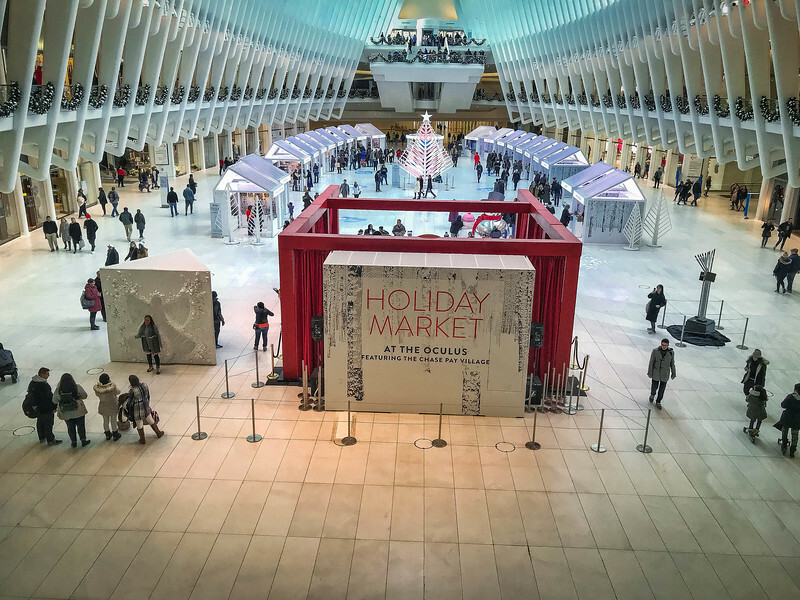 Be prepared to allocate several hours or perhaps plan on visiting over several days because the Westfield World Trade Center covers a lot of space. Ok folks, we know that shopping isn’t for everyone! 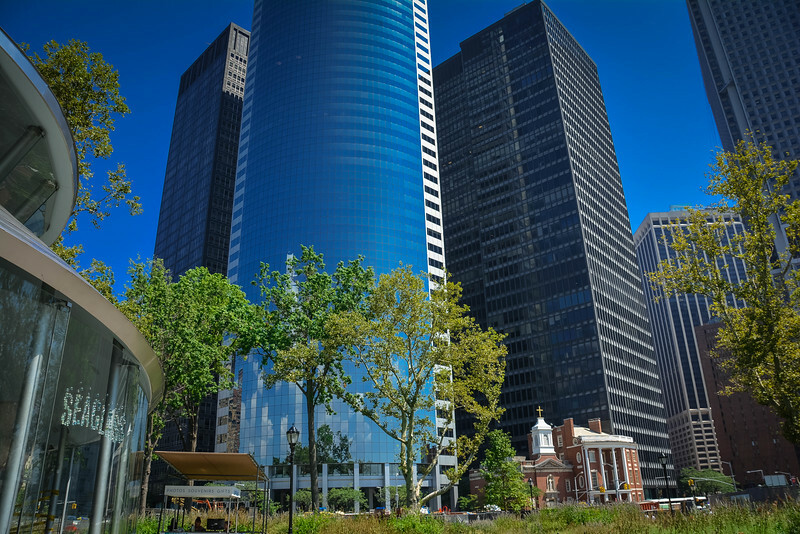 What about if we convinced you that Lower Manhattan was the perfect place to go to enjoy shopping and still have time to experience plenty of other things that typifies why this area is such an attractive part of New York City? 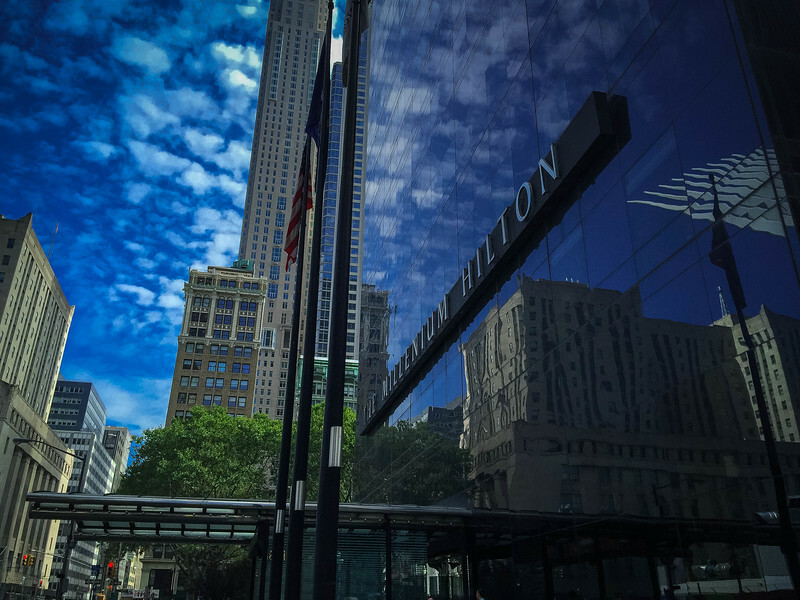 Here are a few things you can experience in Lower Manhattan while staying at the Millennium Hilton. 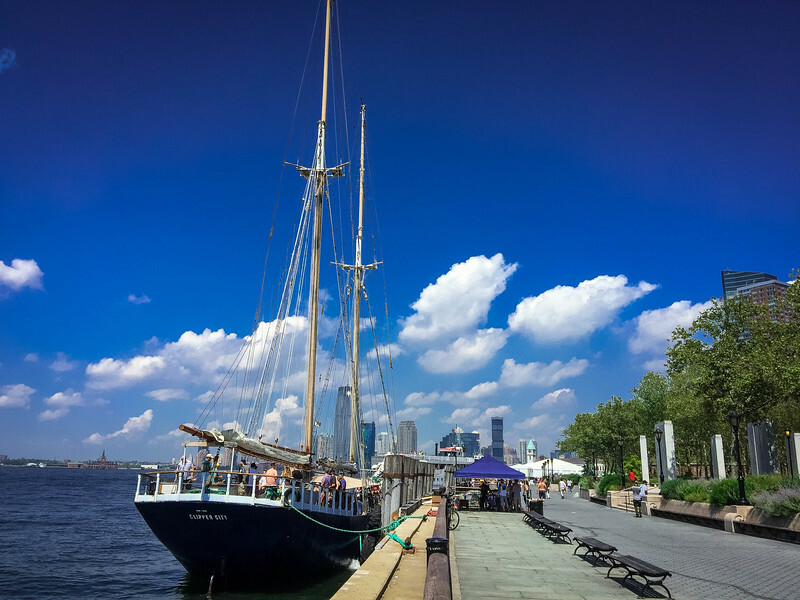 Take a short stroll from the Millennium Hilton to the Battery Park area of Lower Manhattan to not only enjoy a 25-acre public park that helps you get away from the hustle and bustle of city life but also to admire breathtaking views across the Hudson River. Architecture aficionados would also argue that the views looking the opposite direction are equally spectacular, as you get to appreciate the gorgeous Lower Manhattan skyline featuring the One World Trade Center and perhaps capture a glimpse of the historic Brooklyn Bridge. We mentioned earlier that Brookfield Place is another “shopping” hot-spot but this is also a popular area to enjoy quality eateries and even a light snack at Shake Shack! For those of you wanting to stay completely away from anything that resembles “retail”, head over to the The SeaGlass Carousel, a fish-themed carousel in Battery Park, that is a popular attraction for all the family to enjoy. 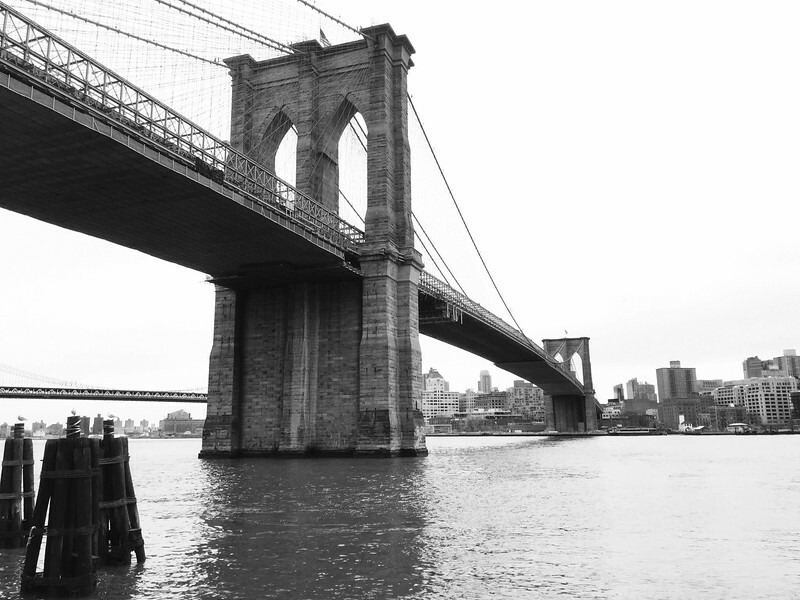 Are you looking to experience a little culture during your visit to New York City? 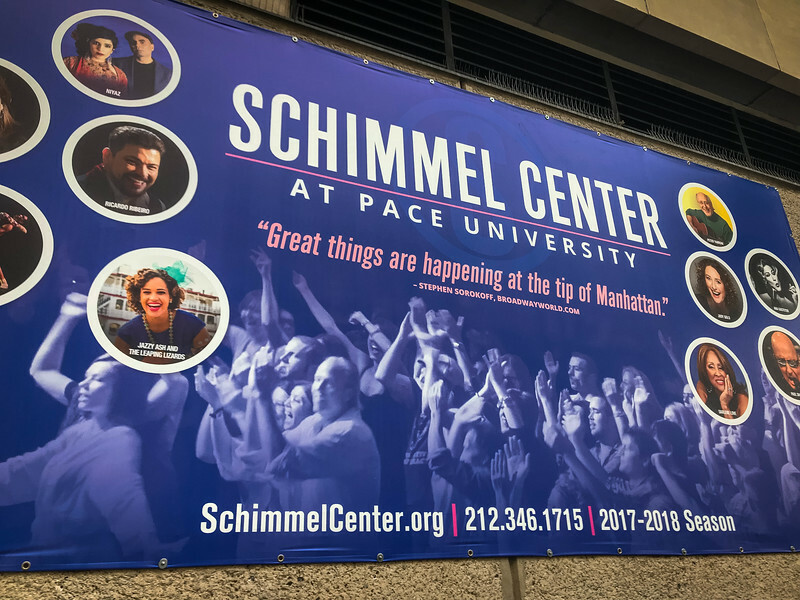 Head over to Pace University just a short 5-minute walk from the Millennium Hilton and experience a performance at the Schimmel Center for the Arts. During our stay, we enjoyed the Christmas festivities by enjoying an epic performance by Rob Mathes during his holiday concert featuring the one and only Vanessa Williams! 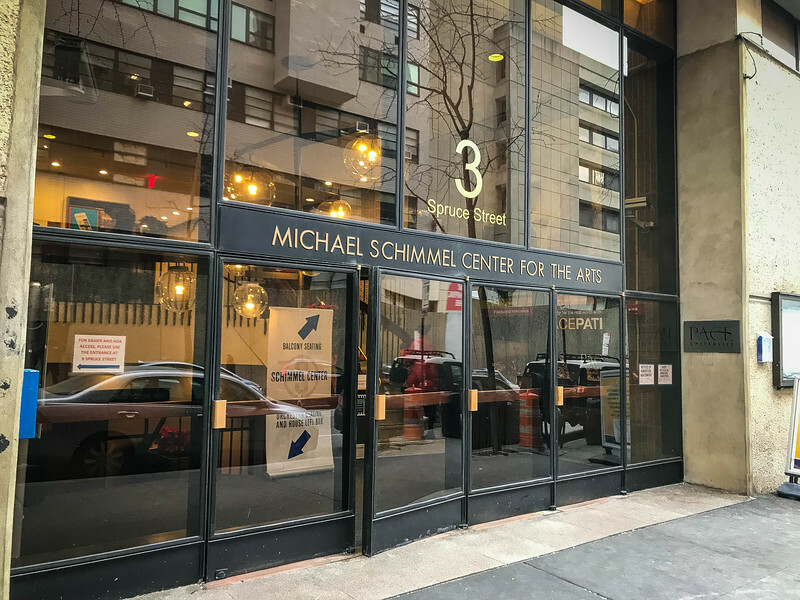 If you are looking for an intimate setting with high-quality production, the Schimmel Center is a great option, particularly if you are interested in a variety of genres. The seasonal productions offer something for everyone so be sure to check out the calendar of events to see what is playing when you visit New York City. “Never Forget”…those words will resonate not only with NYC locals but also visitors from all corners of the globe. 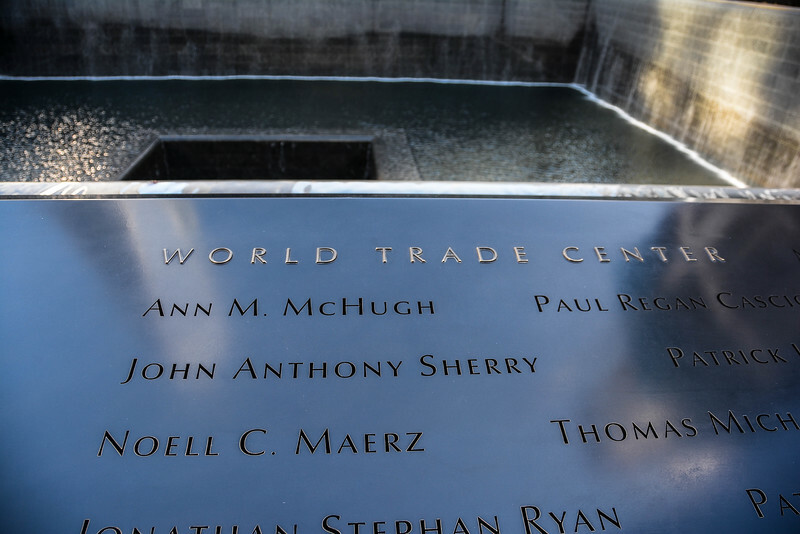 What better way to pay your respects than by visiting the National September 11 Memorial to honor the victims and also gain a greater understanding on how this tragic event has played a significant role in shaping the world we live in today. 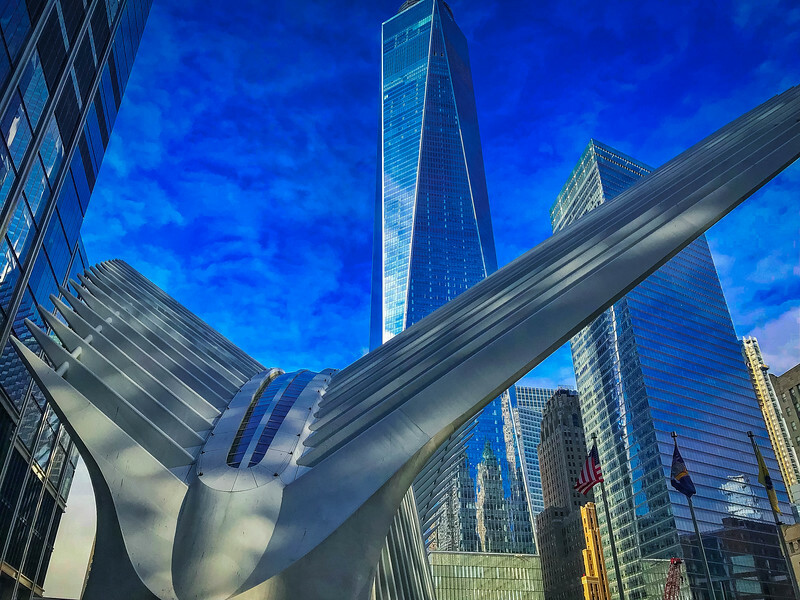 Located at the World Trade Center site, the former location of the Twin Towers, the Museum and Memorial is the ideal place to pay your respects and as you peer up to the towering One World Trade Center, you can see how the city has transformed and become an even stronger community. Discount code is available until March 31, 2018 for a stay throughout 2018! 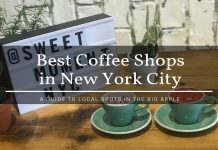 When it comes to shopping, NYC is the place to be and dependent on your budget and taste will likely determine which neighborhood you want to experience. In our opinion, Lower Manhattan offers the best of everything and when you combine the amazing Millennium Hilton with the opportunities throughout this neighborhood, you have created an amazing package that you would be crazy to ignore. Let us know when you are considering a trip to NYC next and which parts of the Big Apple you love for a little retail therapy. 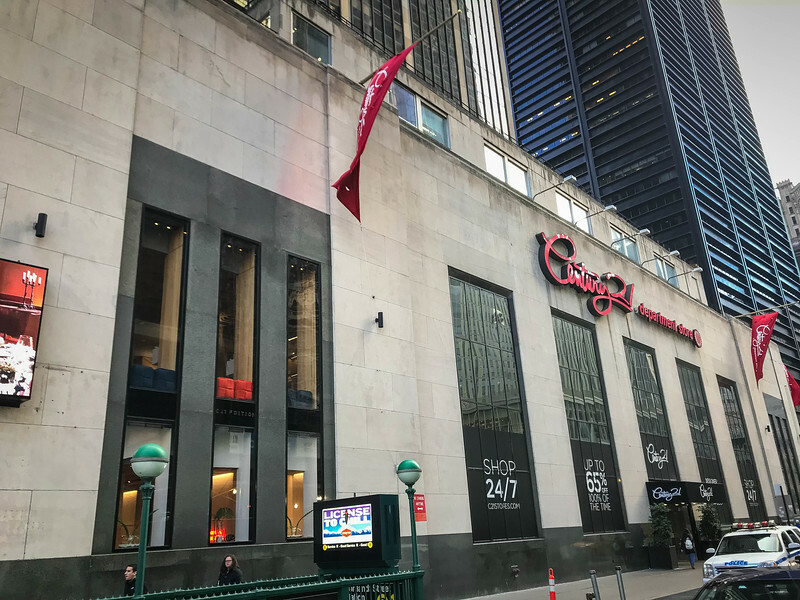 Disclaimer – We were guests of the Millennium Hilton New York Downtown hotel and received a complimentary two night stay and discounted third night in return for consideration of a blog post. The views contained within this post are entirely our personal opinion/experience and we received no final compensation for this. Previous article2017 Year in Travel – How We Maximized Our Time on the Road? Next articleWhy Knott End Is the Best Place to Learn About LS Lowry? It’s been years since I’ve been to Manhattan. 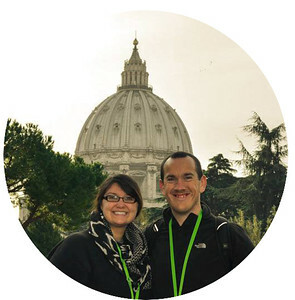 This post makes me want to plan another trip. I especially love these shots of the Oculus. Great job! wow i live in NY and never go downtown – I had no idea this was even there! I do love walk around downtown and across the Brooklyn Bridge. Looks like you had a great stay! I will have to check out the oculus next time I am downtown! I love the Lower Manhattan area. This shopping package looks to be a good deal – and fun! Great photos! 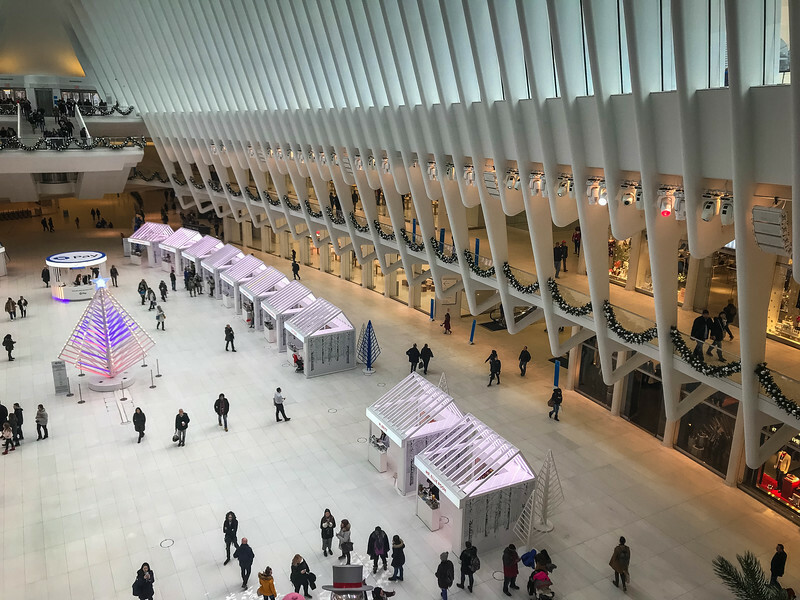 We really enjoyed the shopping package, particularly Heather of course 🙂 But the Westfield World Trade Center mall inside the Oculus has a little bit of everything so all the family can enjoy that experience. You could easily spend all day just inside there experiencing all of the shops and sampling the various restaurants available. Thanks so much Jill for your kind comments! Oooh, this does look good. A great deal and a good base to stay in NYC! Hi Esther, yes you are exactly right!! The Millennium Hilton is a great base to explore not only Lower Manhattan but also the rest of NYC. 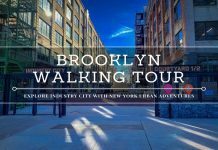 Plus you can easily hop over to Brooklyn if you wish to explore that area…it just gives you the flexibility to get out and experience the very best of NYC! Wow! Looks like you had a fabulous time. 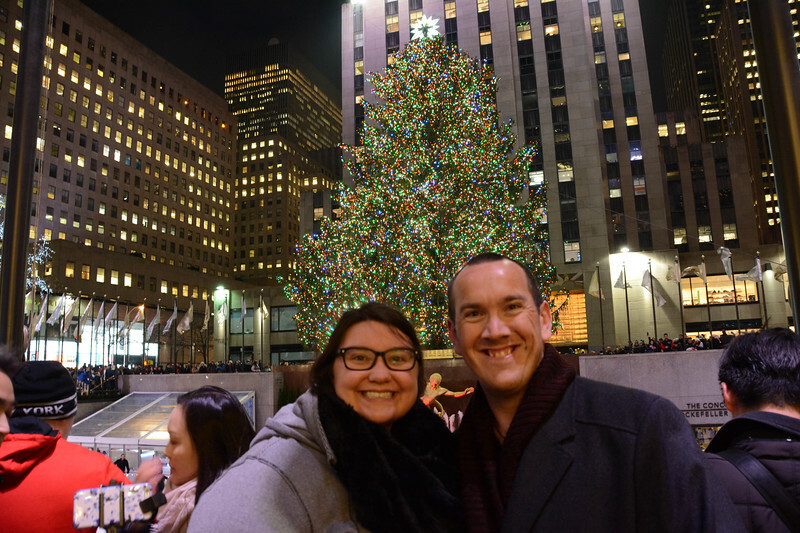 We were in NYC a few years back also during Christmastime and it was stunning! If anyone says NYC is boring, they obviously haven’t stepped out of bed. NYC at Christmas is incredible! But we would argue New York at any time of the year is amazing but I have to admit, there is something quite magical about NYC during the holiday season. 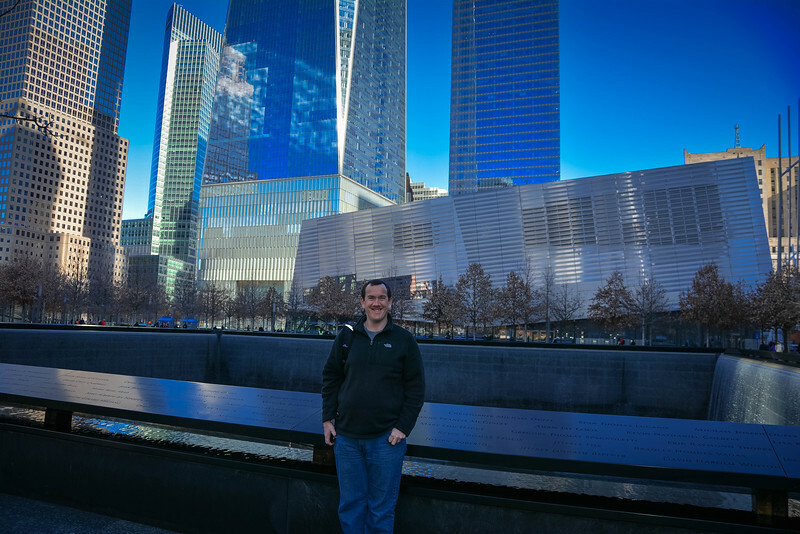 We thoroughly enjoyed this recent trip and can definitely recommend anyone visiting to spend the majority of their time in the Lower Manhattan neighborhood as there is so much to experience there. Plus, we cannot emphasize just how amazing the Millennium Hilton Hotel is!!! Wow! So much thing to do in Lower Manhattan! Looks like you both really had a good good time! Thanks for sharing this post! I am loving the packages this is so informative! I also love the photos! Such a very lively place to visit! Shopping in Lower Manhattan is very attractive phrase, specially for women. Very informational topic.